After suffering from an injury it is important to get the affected body parts back in motion as quickly as possible. It is much easier to build strength with the muscles you still have than having to start all over once the muscles have been wasted away. Training the affected body parts, such as the legs, improves blood circulation, strengthens muscle tissue and provides better coordination. The BerkelBike is ideal for rehabilitation. This unique trike helps you improve your health and increase control over your own body and life. 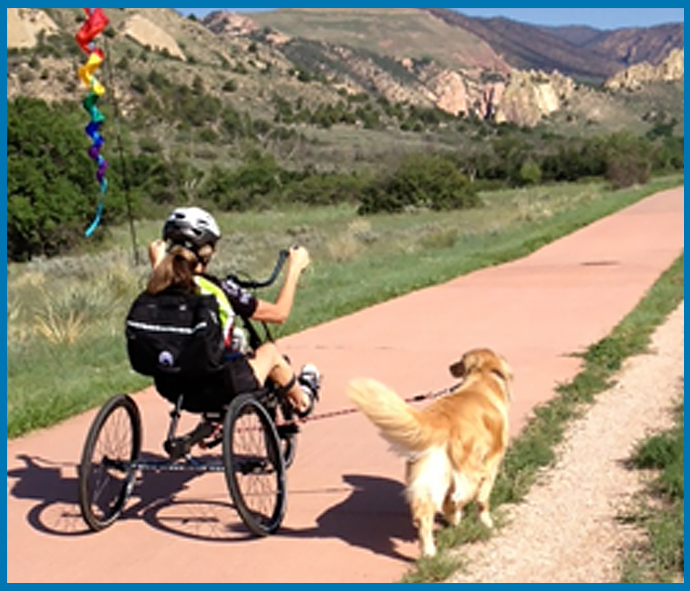 After all, the reason we developed the BerkelBike was to improve the quality of life of paraplegic patients. The BerkelBike allows people with limited or no function in their legs to cycle with and train their affected legs. The affected legs are trained by actively pedaling or passive movement depending on the limitation. The bike uses and increases the remaining strength in the affected and unaffected limbs. The arms or the electric pedal support will support the legs and can take over when necessary. The power needed to bike is divided over all limbs and in addition, functional electrical stimulation is possible for those who have no leg function left. Often people who are still recovering from an accident prefer to start training bit by bit and preferably in a comfortable environment. Our team at BerkelBike has taken these things into account and developed a docking station so that training can take place indoors in the comfort of people’s own homes as well as outdoors.